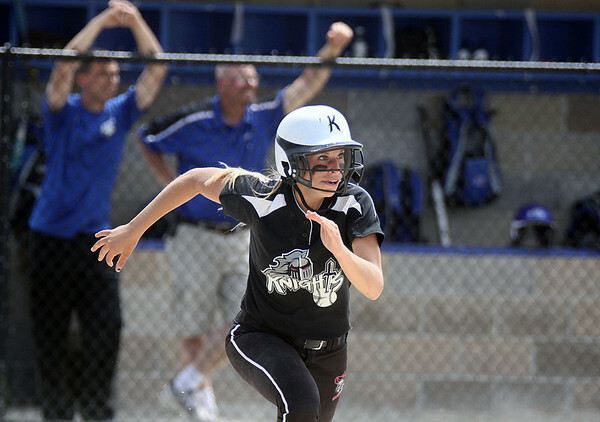 Kaneland's Paige Kuefler had a two-run, game-tying double to right field in the top of the 7th inning during Saturday's IHSA class 3A regional championship at Burlington Central. It was part of a three run inning for the Knights. Kueffler also picked up two RBI in the third inning. The Knights allowed a run in the bottom of the 7th inning and lost 6-5.